Our Earth Alive exhibit is ready to explore! A learning experience for children and adults, this hands-on exhibit brings to life the history of our planet and explains its ongoing geological evolution. 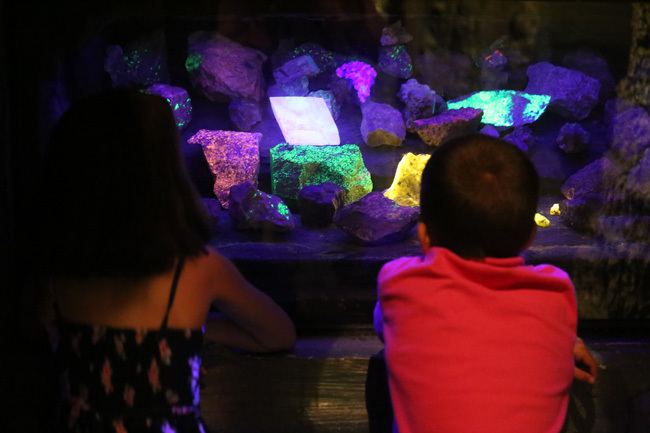 Experience the formation of geological phenomenon with hands-on exhibits. A 160′ long mural depicts in bold graphics and 3 dimensional images Earth’s composition, planetary relationships, volcanic eruptions, cave environments and much more.